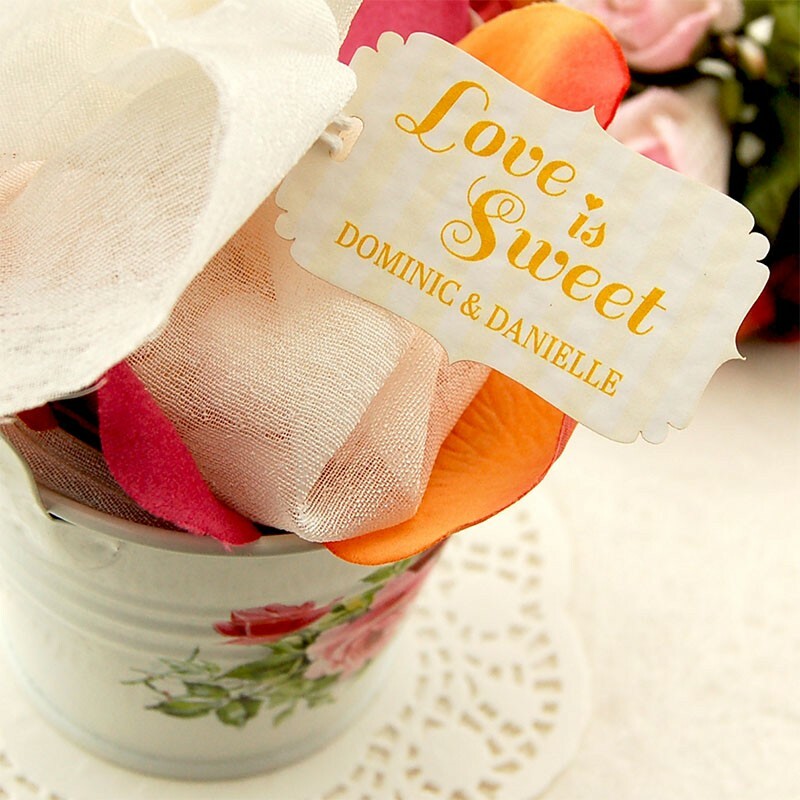 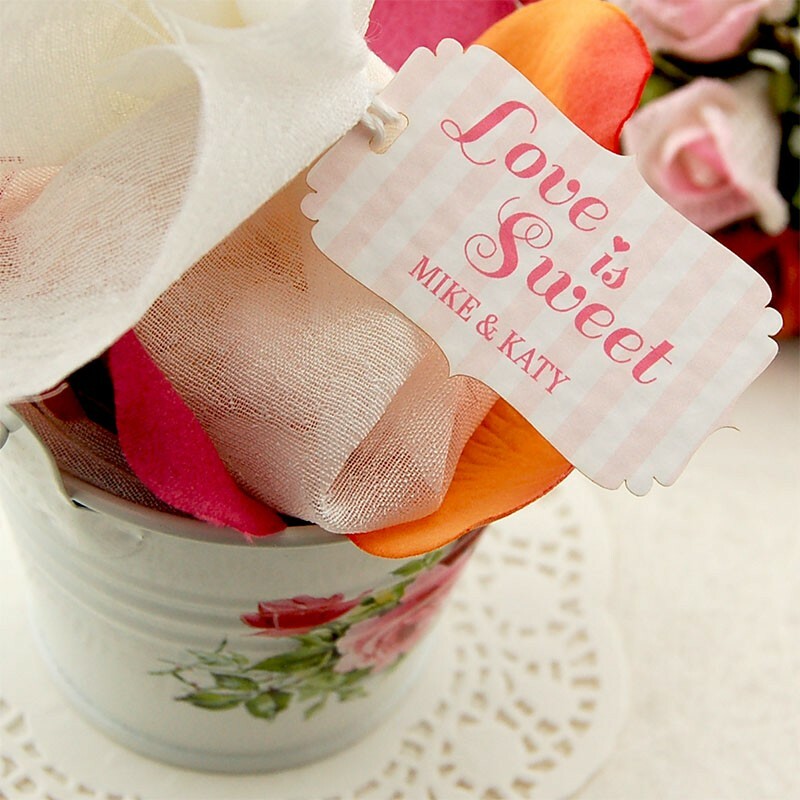 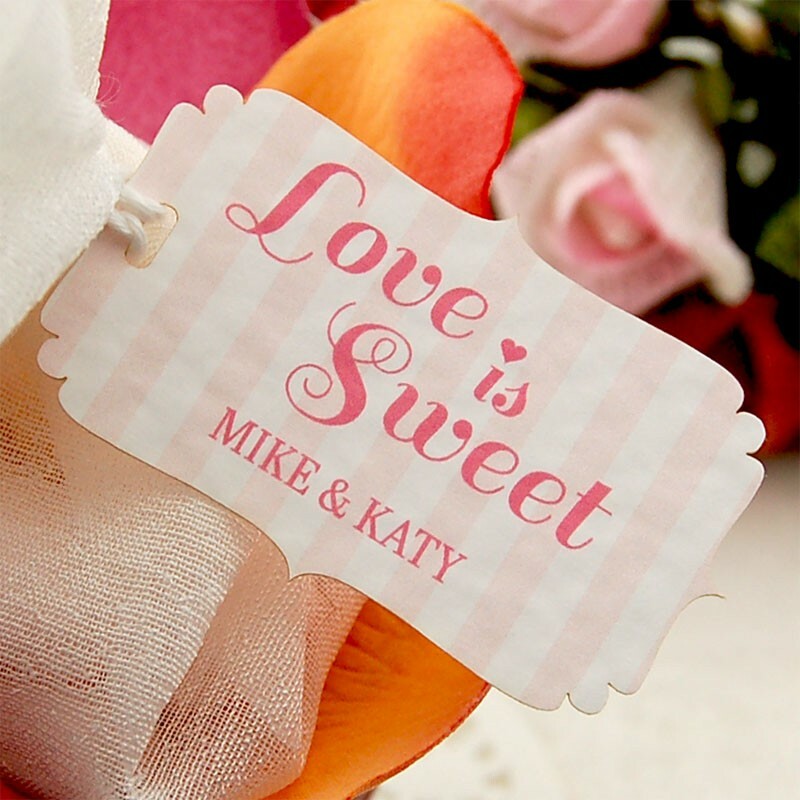 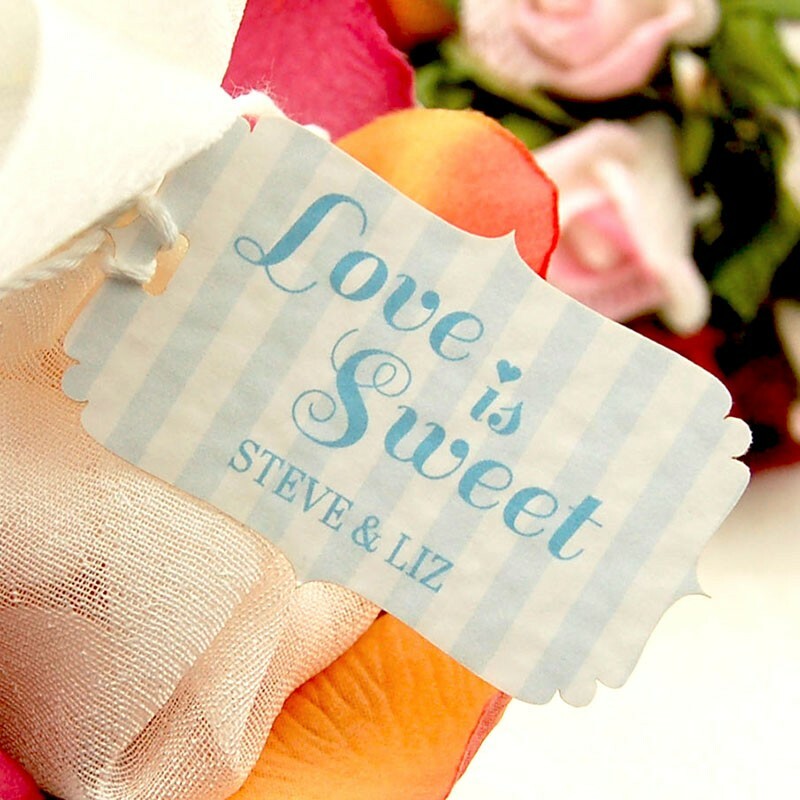 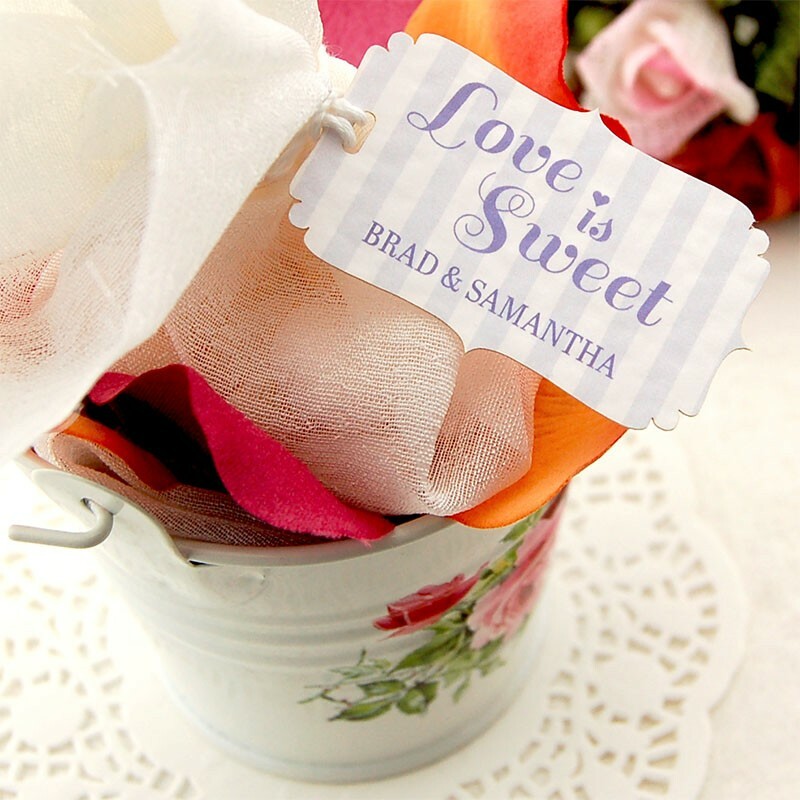 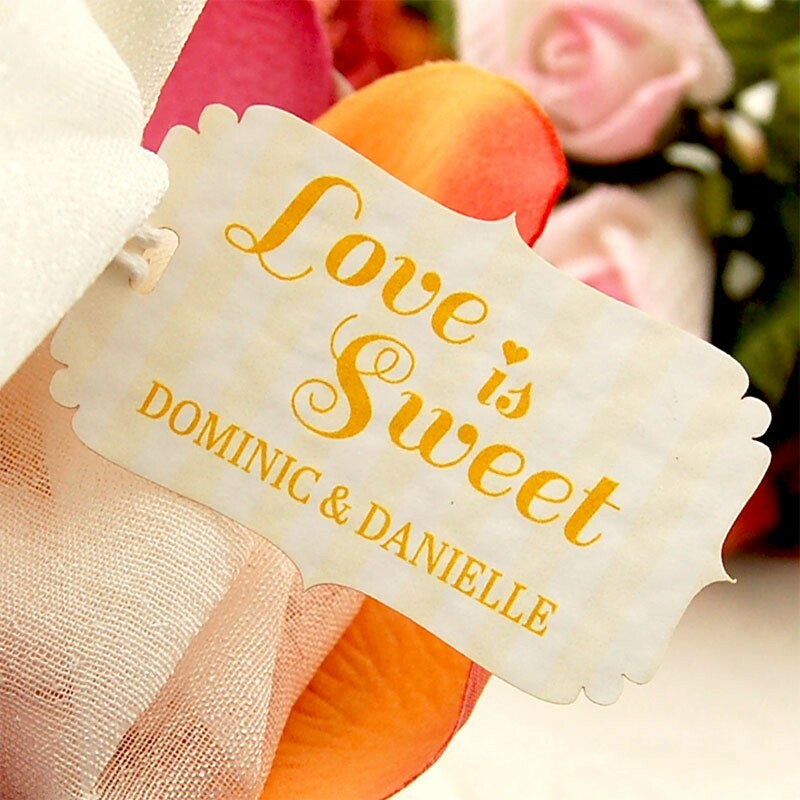 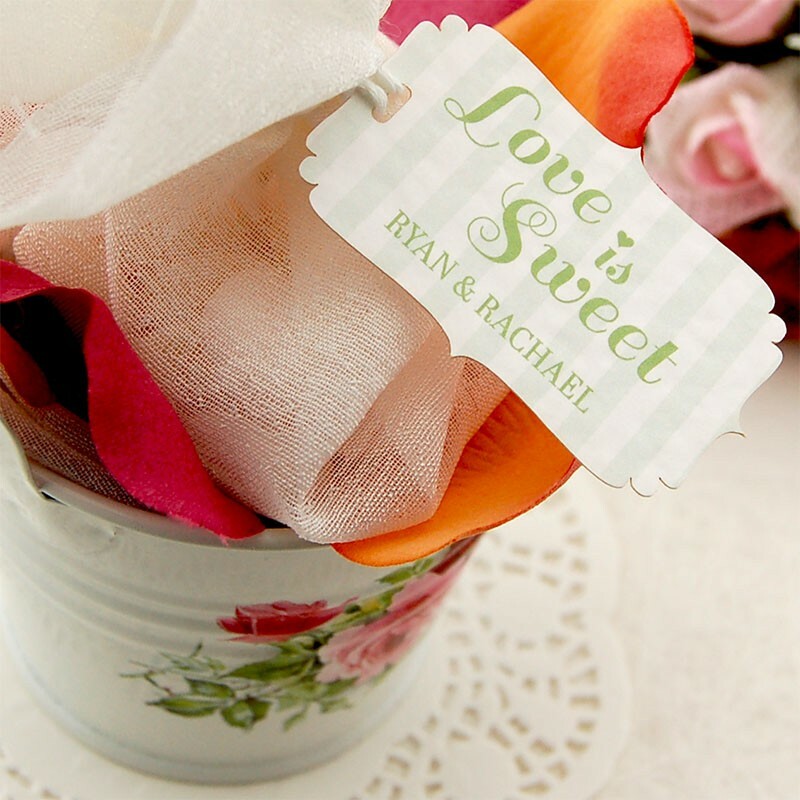 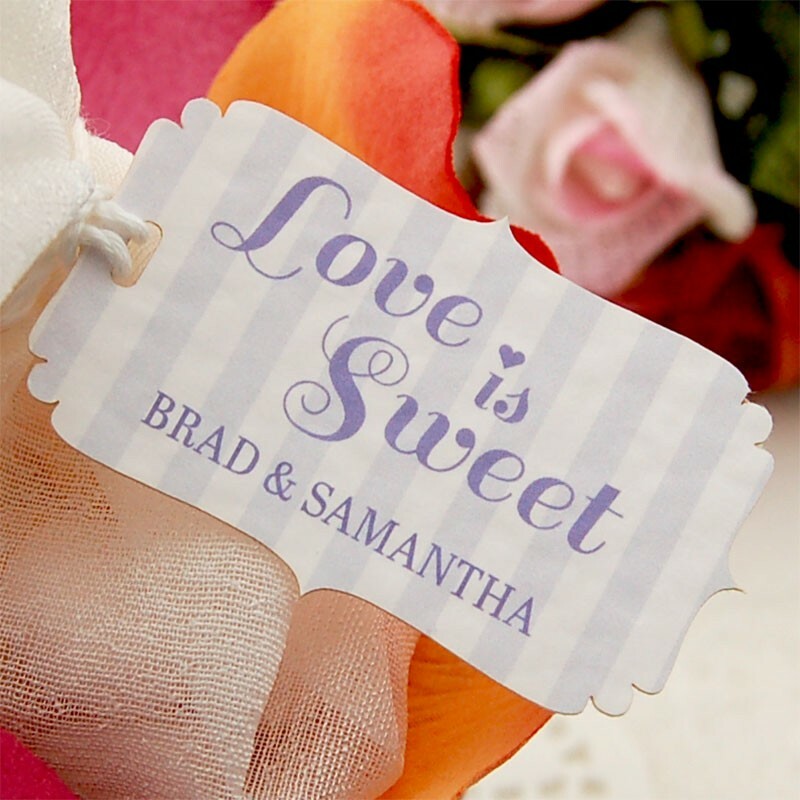 You will receive personalized "Love is Sweet" gift tags in the color and lot size of your choice. 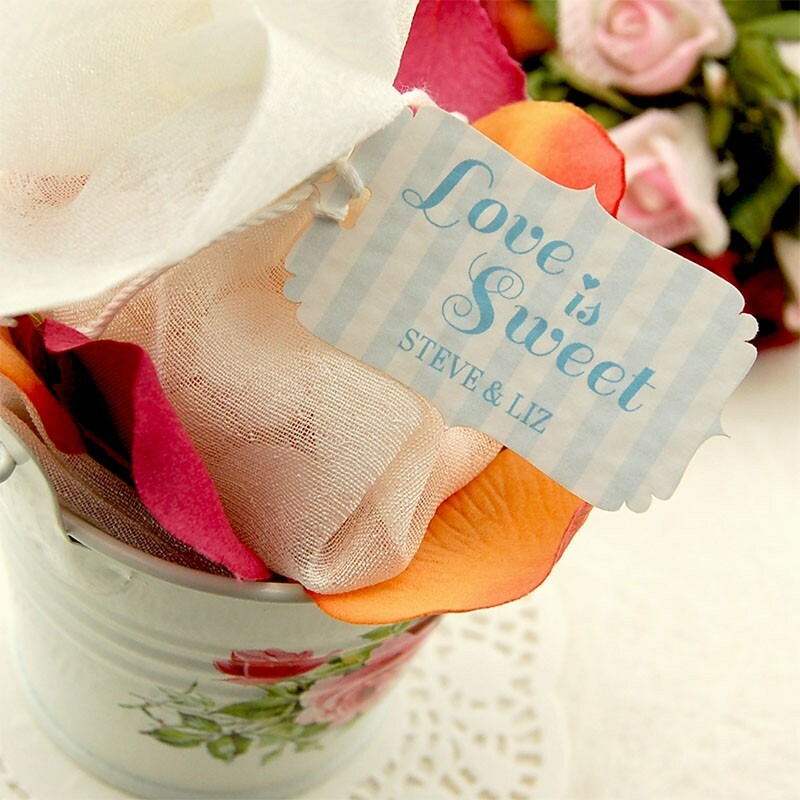 The gift tags come with untied cotton thread measuring around 20 cm (7.87 inches) in length. 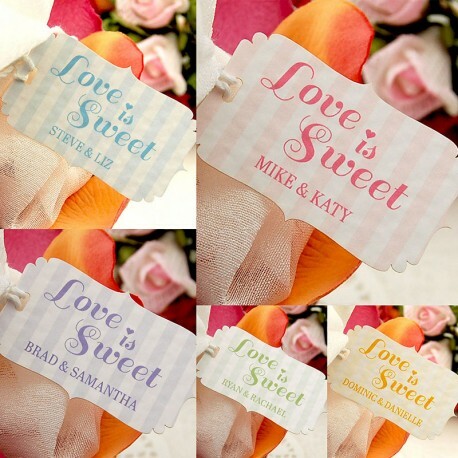 The tags measure approximately 50 mm x 33 mm (5.5 cm x 3.3 cm, 2.17" x 1.3") at the widest points, are made using 250 GSM (170 lbs) premium cards, and the back of the tag is blank. 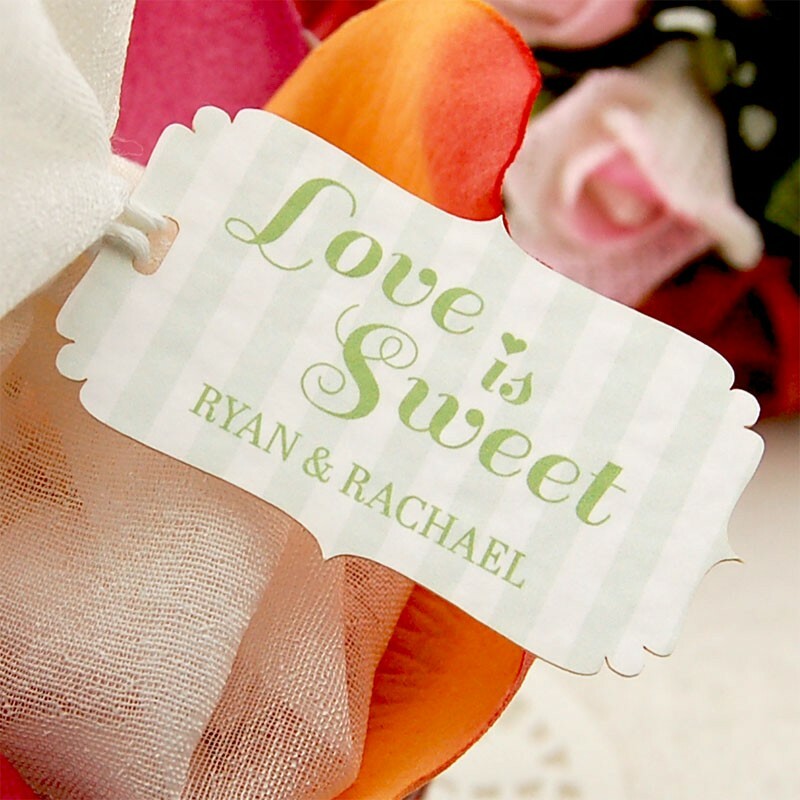 Order sizes come in 30, 60, 90 & 120 pieces and gift tags are available in 5 colors, Green, Blue, Lavender, Pink and Yellow.